You know that feeling you get when you’ve set your ex’s car on fire, only later to learn that the car wasn’t your ex’s? Yeah, neither do I. But a 19 year-old Floridian caught on surveillance video might know that feeling all too well, WFTS Tampa Bay reports. Last week, the Clearwater Police Department in Florida (because of course it’s Florida) posted a video on Facebook asking viewers to identify the main suspect caught building a bonfire in a Honda Accord’s trunk. 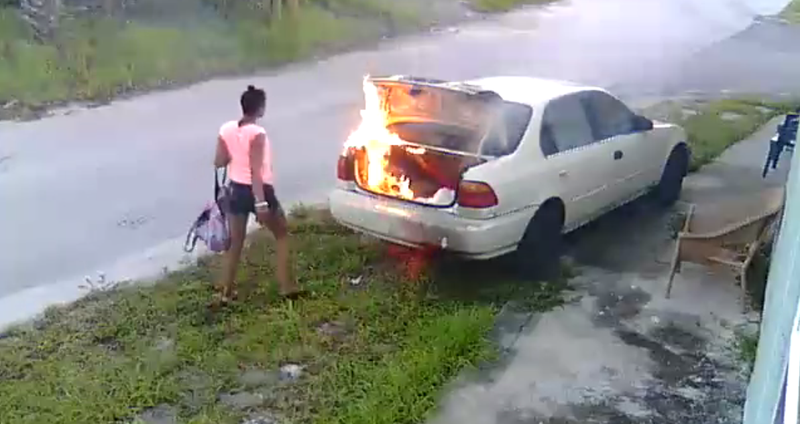 Shortly after uploading the video, police arrested 19 year-old Carmen Chamblee and threw her in jail, charging her with second degree arson . Chamblee, according to WFTS Tampa Bay, told the police she thought the car was her ex-boyfriend’s.